Five men have been charged in a 71-count indictment with engaging in conspiracies to defraud several federal agencies by paying bribes and fraudulently obtaining at least $15 million in government contracts they were not entitled to though disabled-veteran set asides and other small business programs. Indicted are: James A. Clark of Chipley, Florida, who owned several businesses, including Enola Contracting Services, Inc.; Eric L. Hogan of Bonaire, Georgia, who owned P&E Construction, LLC; Kenneth A. Latham of Albany, Georgia, who was employed by the U.S. Navy as a civilian engineering technician; James K. Alford, 55, of Bowling Green, Kentucky, who owned K&S Constructors, Inc., and Harvey Daniels, Jr. of Marianna, Florida, who owned HDJ Security, Inc. The charges include conspiracy to commit honest services wire fraud, conspiracy to commit wire fraud, wire fraud, conspiracy to submit false claims, false claims and major fraud. Construction projects detailed in the indictment include contracts at the Marine Corps Logistics Base in Albany, Georgia, the VA Medical Center in Louisville, Kentucky, and the NASA Plum Brook Station near Sandusky, Ohio. Federal departments and agencies, as directed by Congress, work with the Small Business Administration to award portions of contracts to small businesses, with specific goals for small disadvantaged business, including service-disabled veteran-owned small businesses. Businesses must register and meet a number of criteria to be classified as small disadvantaged business – also known as the 8(a) program – such as being at least 51 percent owned and controlled by socially and economically disadvantaged individuals. Businesses must also meet a number of criteria to be classified as a service-disabled veteran-owned small business, such as being at least 51 percent owned by a veteran with a service-connected disability who controls the management and daily operations of the company. Service-disabled veteran-owned small businesses are permitted to enter into joint ventures with other companies but must meet specific requirements to do so. 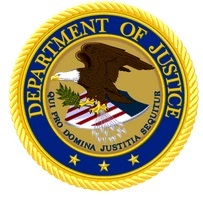 The defendants and others engaged in several criminal schemes designed to deprive the government of its right to honest services of its employees through bribes and kickbacks, and to submit false claims and defraud the United States by obtaining government contracts set aside for qualified companies to which they were otherwise ineligible to obtain by fraudulently using proxy and pass-through companies. P&E, through Hogan and Clark, made false statements, misrepresentations and omissions of facts. Hogan on several occasions certified P&E was a service-disabled veteran-owned small business. It also registered as a joint venture with Enola, with Hogan listed as president and Clark as vice president of the joint venture. HDJ Security was enrolled in the 8(a) program. Daniels self-identified as the president of HDJ, the sole owner of the company and to be socially disadvantaged. In one scheme, Latham accepted a series of bribes and kickbacks from Hogan and Clark – including cash, meals, a hunting trip, a fence, and an all-terrain vehicle – in return for Latham using his official position with the Navy to benefit Hogan, Clark and their businesses. These benefits included assistance in finding and securing government contracts, approval of invoices for payments to pass-through companies used by Hogan and Clark to obtain set-aside contracts for which their companies were not otherwise eligible, and concealing Clark and Hogan’s use of pass-through companies to obtain bonding. Another scheme involved defrauding the VA and the TK by fraudulently representing that P&E and Hogan independently qualified for the service-disabled veteran-owned small business program despite Clark’s involvement in providing bonding for and equity ownership in P&E. Clark, Hogan, Alford, Daniels and others defrauded the government by using purported service-disabled veteran-owned small businesses and 8(a) businesses as proxies to bid on and obtain set-aside contracts. Arrow Construction, which was registered in the 8(a) program, was awarded a $2.8 million contract for work at the Marine Corps Logistics Base in Albany, Georgia, in September 2011. Clark and Arrow officials Kent Reynolds and Jennifer Dillard agreed that about 90 percent of the value of the contract was passed through to Clark and Enola, in violation of the 8(a) program. HDJ was awarded a contract for work at the Marine Corps Logistics Base in Albany, Georgia, in September 2012. HDJ was paid approximately $2.6 million. Clark, Hogan and Daniels agreed to pass through approximately 95 percent of the value of the contract to Clark, Hogan, Enola and P&E, in violation of the terms of the 8(a) program. The VA in June 2011 awarded a contract to P&E Construction for work at the VA Medical Center in Louisville, Kentucky. The VA paid P&E approximately $4.5 million that the company would not have received if the VA knew P&E was acting as a pass-through for K&S and that it was back-bonded by Clark and Enola. P&E submitted a winning bid in February 2013 for a contract for construction services at the NASA Plum Brook Station near Sandusky, Ohio. NASA paid P&E approximately $5.6 million that the company would not have received if NASA knew it was acting as a pass-through for K&S and that P&E was back-bonded by Clark and Enola. If convicted, the defendants’ sentences will be determined by the Court after review of factors unique to this case, including the defendant’s prior criminal record, if any, the defendant’s role in the offense and the characteristics of the violation. In all cases the sentence will not exceed the statutory maximum and in most cases it will be less than the maximum. This case was investigated by National Aeronautics and Space Administration’s Office of Inspector General, the Defense Criminal Investigative Service, Naval Criminal Investigative Service, Department of Veterans Affairs’ Office of Inspector General, Small Business Administration’s Office of Inspector General, the Defense Contract Audit Agency, and the Air Force Office of Special Investigations. Readers are reminded that an indictment is only a charge and is not evidence of guilt. A defendant is entitled to a fair trial in which it will be the government’s burden to prove guilt beyond a reasonable doubt. VMJ Construction, LLC (VMJ) and its owner, Colorado resident Michael T. Vigil, as well as Maryland-based Vigil Contracting, Inc. (Vigil Contracting) and its operations manager, John J. Vigil, have agreed to pay the United States $3.6 million to resolve allegations that they defrauded the Small Business Administration (SBA) 8(a) Business Development Program. The SBA’s 8(a) Business Development Program for economically and socially disadvantaged small businesses serves dual roles. First, the program helps socially and economically disadvantaged small business owners gain access to valuable federal contracts, thereby promoting economic and social mobility. 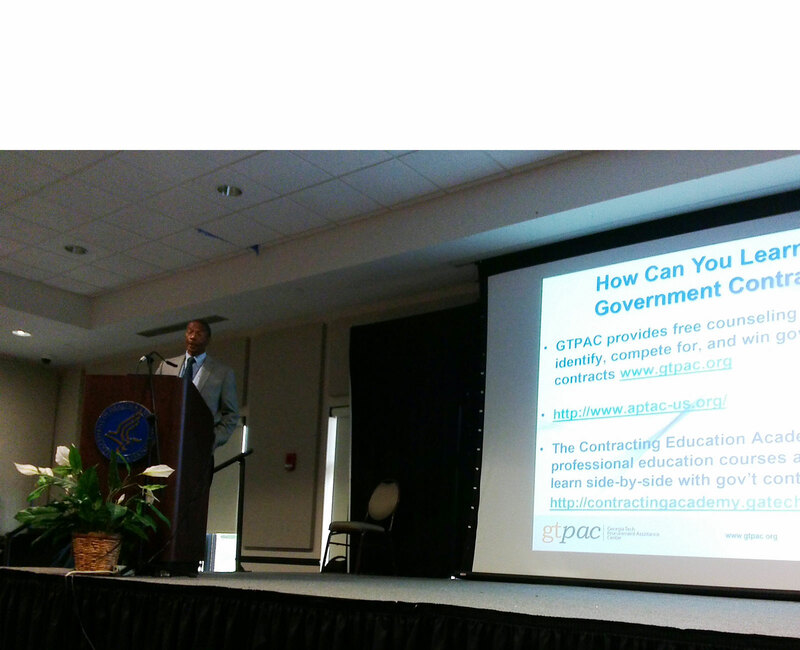 Second, the program saves taxpayers money by spurring a competitive marketplace. By promoting the development of small businesses, the 8(a) Program helps prevent the formation of monopolies that would stifle innovation and restrict consumers’ ability to negotiate lower prices. It is important that the 8(a) Program is reserved only for companies that actually meet the program’s criteria because misuse of the program deprives legitimate 8(a) Program participants of valuable economic opportunities and undermines the integrity of the program. There are several rules that businesses in the 8(a) program must abide by. The socially and economically disadvantaged owner of the business must manage the day-to-day operations of the company and have responsibility for the long-term decision-making for the company. 8(a) Program applicants must also truthfully disclose any affiliation with other businesses so that SBA may accurately assess whether the applicant meets the definition of a small business, and whether the applicant shows potential for success and the ability to perform the requisite percentage of the contracts secured through the Program. Businesses also cannot remain in the 8(a) Program indefinitely; after nine years, they graduate from the program and are no longer eligible to bid on 8(a) contracts. VMJ was accepted into the 8(a) Program in 2011. Michael T. Vigil, who is Hispanic, was the 91% owner of VMJ, and was the socially and economically disadvantaged individual upon which VMJ based its application to the 8(a) program. John J. Vigil was a 9% owner of VMJ. John J. Vigil was also the operations manager of Vigil Contracting. Vigil Contracting is a 2011 graduate of the 8(a) Program. Since 2011, Vigil Contracting has not been eligible to bid for contracts reserved for 8(a) program participants. The United States contends that VMJ made false statements to the SBA regarding its eligibility to participate in the 8(a) program. Specifically, VMJ relied almost exclusively upon Vigil Contracting to bid on and complete the work awarded to VMJ under the 8(a) program. VMJ used Vigil Contracting’s bonding, office space, employees, contractors, software, computers, and vehicles. Vigil Contracting employees and contractors, including John J. Vigil, made the high-level business decisions of VMJ and managed the day-to-day operations of VMJ. Michael T. Vigil did not control VMJ, did not set the long-term policy, nor manage the day-to-day management of the business. VMJ knowingly misrepresented these facts to SBA, in both VMJ’s initial application to participate in the 8(a) program and in an annual update to SBA. As a result of the deception, the Army, the Navy, and the Department of Agriculture awarded VMJ several federal government contracts set aside for 8(a) program participants. The U.S. government will prosecute three whistleblower complaints against a U.S. Navy contractor accused of widespread fraud in the $1 billion cleanup of a radiation-contaminated shipyard and site of a major redevelopment project. Seven whistleblowers have accused the contractor Tetra Tech of falsifying soil tests that were supposed to verify the decontamination of a 400-acre site where more than 10,000 homes are slated to be built in one of the largest redevelopment projects in San Francisco history. Indal Technologies, Inc. has agreed to pay $3.5 million to resolve allegations that it knowingly sold defective helicopter landing systems designed for U.S. Navy destroyers. Indal, of Ontario, Canada, is a division within Curtiss-Wright Corporation of Charlotte, North Carolina. Since the 1970s, Indal has produced the Recovery, Assist, Secure, and Traverse (RAST) system attached to U.S. Navy’s Arleigh-Burke class destroyers. RAST systems allow helicopters to land on destroyers. The RAST system includes a device that locks a hovering helicopter onto a trolley. Once locked in place, the helicopter moves along a series of steel track plates into a shipboard hangar. The trolley must remain securely connected to the track plates, because the helicopter may be required to land during rough seas and high winds. The Navy’s contracts for RAST systems expressly required track plates made of HY100 steel due to the material’s increased strength, combat ruggedness, and protection from corrosion. The settlement announced last week resolves allegations that Indal, without informing the Navy, knowingly substituted a different, less expensive type of steel in numerous RAST system track plates delivered to the Navy. This settlement was the result of a coordinated effort among the Civil Division’s Commercial Litigation Branch and the U.S. Attorney’s Office for the District of New Jersey. 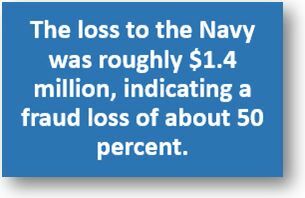 The investigation was conducted by the Naval Criminal Investigative Service and the Defense Contract Audit Agency. The claims resolved by the settlement are allegations only; there has been no determination of liability. Chinese government hackers have stolen large swaths of highly sensitive data on undersea warfare from a Navy contractor’s computers, The Washington Post reports. The stolen information includes secret plans to develop a supersonic anti-ship missile to be used by submarines by 2020, American officials told the Post. The incidents took place in January and February, but officials did not disclose the contractor that was targeted, the newspaper reported Friday. Although the information was highly sensitive, it was housed on the contractor’s unclassified network, according to the Post. The owner of a trucking company who was convicted of paying bribes to rake in more than $20 million from military contracts fought for relief last Wednesday at the 11th Circuit. Arguing before a three-judge panel in Atlanta, attorney Edward Garland said that the evidence showed only that his client, Christopher Whitman, gave gratuities to officials. “The defense was presented for five weeks … evidence was used on the record for, what we’ll call, ‘buttering up,’” said Garland, a partner with Garland, Samuel and Loeb. Garland’s argument also drew skepticism from at least one judge on the panel. “But you never argued this, did you?” said U.S. District Judge John Antoon II, sitting by designation from the Middle District of Florida. See our earlier reports on this case at: http://gtpac.org/?p=10102 and http://gtpac.org/?p=7589. Two San Diego defense contractors were each sentenced Thursday to 15 months in custody for conspiring to commit wire fraud and file false claims, and making false statements on their federal income tax returns. Jeffrey Harrington, 55, and Michael Mayer, 63, admitted to fraudulently obtaining money from the U.S. government by making false claims to the Department of Defense for payment on items that the defendants knew had not been sold to the Navy, but which had been substituted with other, unauthorized products. As part of the sentence, three of the companies owned by Harrington and Mayer — San Diego-based Veteran Logistics, Industrial Xchange and Boston Laser Technology — were ordered to forfeit over $1.4 million and pay a $1 million fine for their roles in the offenses, according to the U.S. Attorney’s Office. A contractor who worked on the Navy’s supply and transport arm is facing a five-count indictment for his alleged role in a bribery scheme that allegedly netted him $3 million. Scott B. Miserendino Sr., 58, was charged on May 4 on charges that he accepted bribes over 15 years while working for a contractor at the Military Sealift Command. The indictment alleges that Miserendino, while employed as a contractor for Military Sealift Command, assisted Joseph P. Allen and his contracting company “in obtaining and expanding a commission agreement with a telecommunications company” that provided satellite services to MSC. Officials said that Miserendino used his position to influence MSC to take “official acts” that benefited the telecommunications company, and Allen through the commission agreement, from 1999 until 2014. 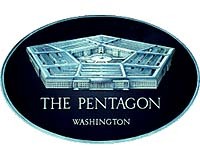 The Pentagon, as the government’s largest buyer of goods and services, is ending a seven-year drawdown of acquisition spending, according to a study released last Wednesday. “The tide has definitely turned in the direction of contract spending,” wrote a team directed by Andrew Hunter of the Center for Strategic and International Studies. Defense Department fiscal 2016 contract obligations increased by 7 percent over the previous year, “far higher than predicted,” said the analysis of the outlook for spending on research and development, defense acquisition reform and procurement performance-based data from the Federal Procurement Data System. A small business joint venture’s proposal was excluded from the competition because the joint venture failed to submit a signed copy of its joint venture agreement, as required by the solicitation. In a recent bid protest decision, the GAO held that the procuring agency acted properly in excluding the joint venture’s proposal, even though the joint venture’s price was more than $300,000 lower than the lowest-priced awardee’s. The GAO’s decision in CJW Desbuild JV, LLC, B-414219 (Mar. 17, 2017) involved a NAVFAC solicitation for construction services. The solicitation was issued as a small business set-aside, and contemplated the award of up to six IDIQ contracts. The solicitation called for NAVFAC to make award on a best value basis, taking into account both price and non-price factors. The three non-price factors were construction experience, safety, and past performance.